Operating the Scott AutoGraver machine, with its easy-to-use engraving software, is simple when you understand just a few basic rules. In this step-by-step section, we'll not only describe how to use the machine for best designing and engraving results, but we'll also give you helpful tips to enhance your finished product even more. 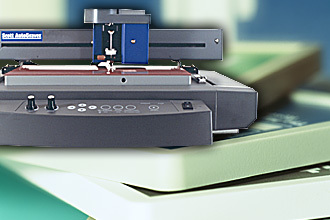 You can design your sign, badge or tag to your specific needs, then let the AutoGraver machine perform the actual engraving to your customized design. So we highly recommend that you view both our "How to Design" and "How to Engrave" sections, as well as "For Best Results," which explains how to get maximum trouble-free performance from your AutoGraver® engraving machine.